When I placed my order on Chemist Direct, I didn’t know I would find my perfect lip combination for the springtime. 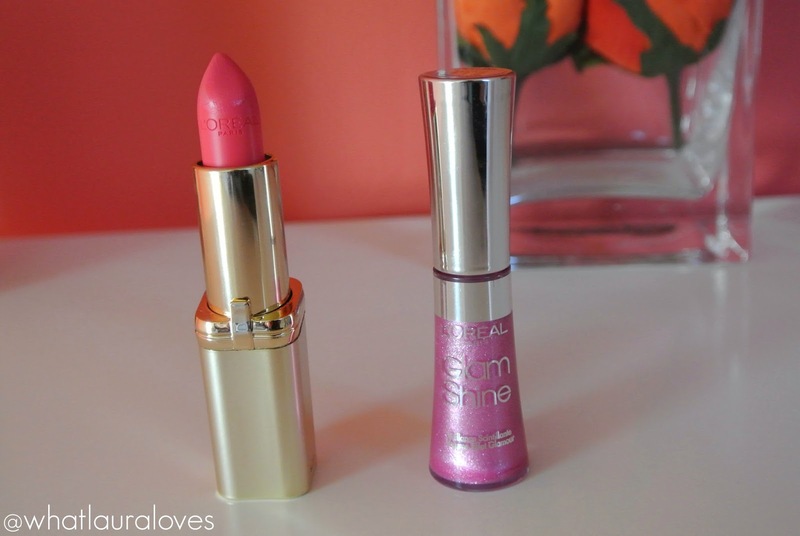 The first is a lipstick from L’Oreal from their Colour Riche ‘Made For Me’ line in the colour 370 Crazy Fuchsia. This line is all about finding the best colour to suit your mood or the time of your day. 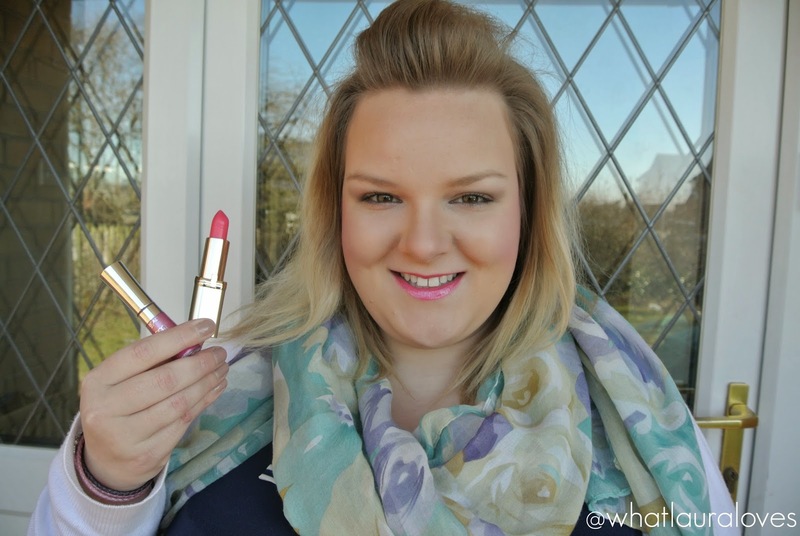 Crazy Fuchsia is from the ‘Intense’ range and is ideally suited to light brunettes according to the packaging but I think that this would be ideal for blondes like me and brunettes as it is such a pretty and wearable shade. I must admit that I do not have many drugstore lipsticks as I usually invest in higher end products because I love the luxe packaging but after trying this lippy out, I literally cannot believe what I have been missing out on from more affordable lip products. The quality is just as good as my Chanel lipsticks, the packaging is pretty but more importantly, the lippy itself is absolutely phenomenal. Crazy Fuchsia is the most beautiful pink shade with a slight warm tone to it. In one swipe, it imparts the most even, highly pigmented colour onto the lips that literally had me gobsmacked. 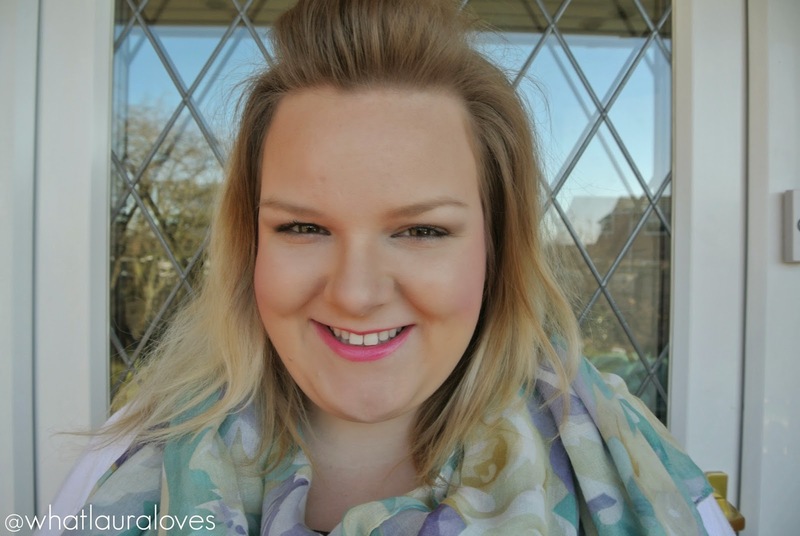 A pop of pink is the perfect colour for spring and summer and this one really illuminates my complexion and brightens up my face. The colour is so beautiful and the pink is really creamy as you can see in the above photo where I’m wearing it on its own. 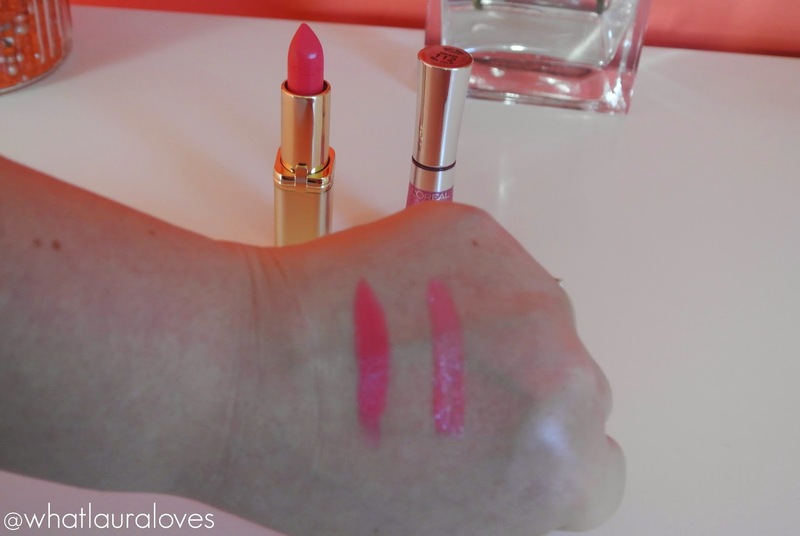 The actual formula of the lipstick is incredibly creamy too and feels so comfortable on the lips thanks to the Omega-3 and Vitamin E that the lipstick is enriched with. There isn’t any dragging during application and the lipstick feels very soft when I’m wearing it, quite moisturising and hydrating. I’m also really impressed with how evenly this lipstick wears and it is quite long lasting too. The packaging is really pretty as it combines a brushed and shiny gold outer that clicks together securely. Inside, the lipstick has a lovely pointed shape to it that makes applying it so effortless, especially around the cupids bow area. I also love how it has ‘L’Oreal Paris’ imprinted into the lipstick too which is a non essential but really nice touch, reminiscent of higher end lipsticks. It also has a really yummy scent, just like Parma Violets! I would love to try out more colours from this range and will be definitely having a look for some more next time I’m in town. I did say that this was a spring lip combination and that’s because I’ve been pairing it with another lip product from L’Oreal. The L’Oreal Glam Shine lipgloss in the colour 112 Beryl Strass. Well it is either Beryl Strass or Sapphire Strass, I don’t know which as the website says Sapphire and the packaging says Beryl but either way it is beautiful. This lipgloss is a gorgeous pink with a slightly cooler tone to it than the lipstick so they work really well when worn on top of one another. This lipgloss literally glides onto the lips with its cute almost heart shaped applicator that really hugs the lips and it leaves the most gorgeous sparkly pink shade. It can of course be worn alone as it does have a lovely pigmentation to it but it looks even better when layered over this lipstick. The great thing about this lipgloss is that it doesn’t feel sticky on the lips at all, it has an ever so slight tacky feel to it but no more so than any lip product. You can simply feel that you have a product on your lips but thats it. It is very comfortable to wear as far as lip glosses go and actually feels quite moisturising on the lips. The glittery sparkles in the lip gloss reflect the light really well; they are so pretty and give the lips a gorgeous shine as you can see in the photographed below where it is layered over the lipstick. These sparkly particles can be felt if you rub your lips together but otherwise, they are undetectable in the gloss. For such highly pigmented and moisturising lip products, I am really pleased that they don’t bleed whatsoever. Chemist Direct have limited stock on all of their items so you need to be quick if you want to purchase from them and you can get some absolutely fabulous deals. If you’d like to see all of the drugstore bargains that I got the you can have a look at my haul blog post. The L’Oreal lipstick is available here for £4.08 which is half the price that it usually retails for and the Glam Shine gloss is available here for £5.59 saving you £1.40 off the RRP. The great thing about these products is that they’re currently on 3 for 2 at Chemist Direct, although I’m sure by now I don’t need to give you any more encouragement to head on over there! In the interested of being fair, you can get the lipstick on the Boots website here and the lipgloss here but they’re more expensive on there, so it goes without saying that I’d recommend Chemist Direct as your place to buy! I’m so impressed with L’Oreal and I really want to try out more products from their range now. What other L’Oreal products and shades would you recommend? Oh, Laura, you look like spring! what beautiful pink shades! I don't have a lot of experience with L'Oreal lippies. 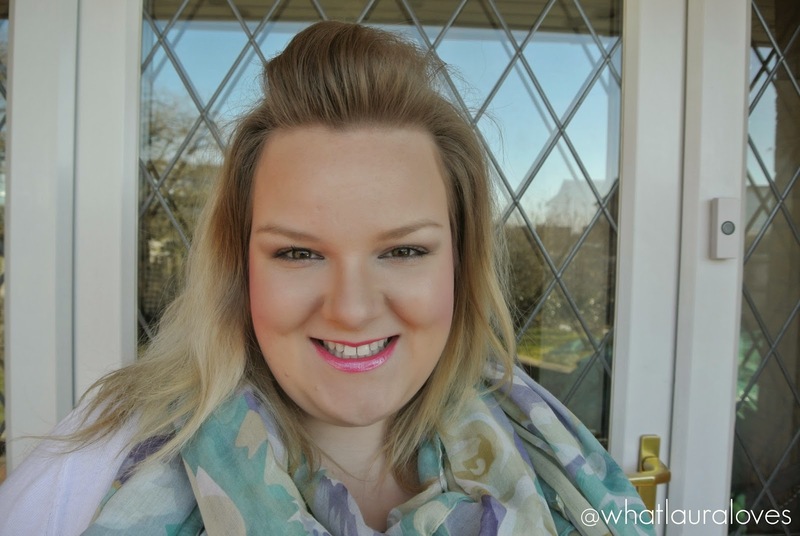 I love the Voluminous Butterfly Intenza Mascara and the Silki…whatever eyeliner pencil though! These pink shades really give a pop of colour to an outfit. They look great on you. You know I am not the biggest lipstick wearing but that pale pink is beautiul!! I think this combo looks fantastic and you are right – perfect for Spring! You look really cute with it =) It's just a shame that it's L'Oreal, I don't buy from them because I don't support their animal testing.